This is the 5K event. Please make sure you are choosing the correct category. This is the 5-Mile event. Fun run for children 12 & under only. Registration includes a cotton short sleeve t-shirt. Shirts would need picked up on one of the packet pick up days or race day. You may still donate using this category. Run with Carl was initiated in 1995, by the Schillig family with the Bettendorf Jaycees as the title sponsor. In 2005, Bettendorf Rotary became the run title sponsor. 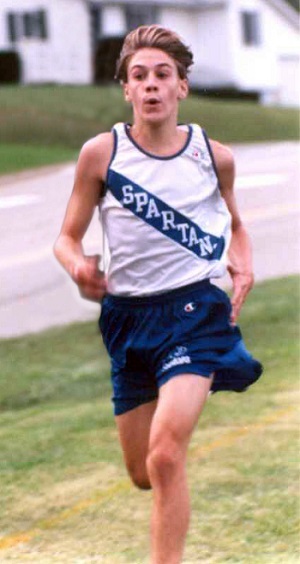 For the first 20 years, Run with Carl provided financial support for the Carl D. Schillig Scholarship fund. In 2016, Ascentra Credit Union took over as title sponsor of Run with Carl. After the 20th year of the race in 2014, the Schillig family had achieved its goal of creating an endowment which would be able to sustain. In the fall of 2014 the Bettendorf Community Schools Foundation and Pleasant Valley Educational Foundation joined together to continue the tradition of the annual Labor Day Race Run with Carl to fund other scholarships and educational opportunities. The annual Labor Day, Run with Carl is now in its 25th year. Carl Schillig was 15 years old when he was killed in a car-pedestrian accident while participating in the Civil War Reenactment at the Village of East Davenport, Sept. 17, 1994. Carl was active in a variety of community, school and church activities. The memorial fund was established by his family to provide college scholarships to graduates of Pleasant Valley and Bettendorf High Schools. A scholarship is awarded each year to a Bettendorf High School student & Pleasant Valley High School student with at least a 2.3 grade point average who exemplifies Carl's spirit through participation in school, sports and community activities. Both the 5 mile run and the 5K run/walk are USATF-certified courses. The courses are run on city streets and the Bettendorf recreation path. The courses are very scenic with challenging hills. Course protection, splits and water stops will be provided. When this page loaded, the official time was 8:55:34 PM EDT.